client’s requirements . Don’t hesitate,our products are exactly what you are looking for! 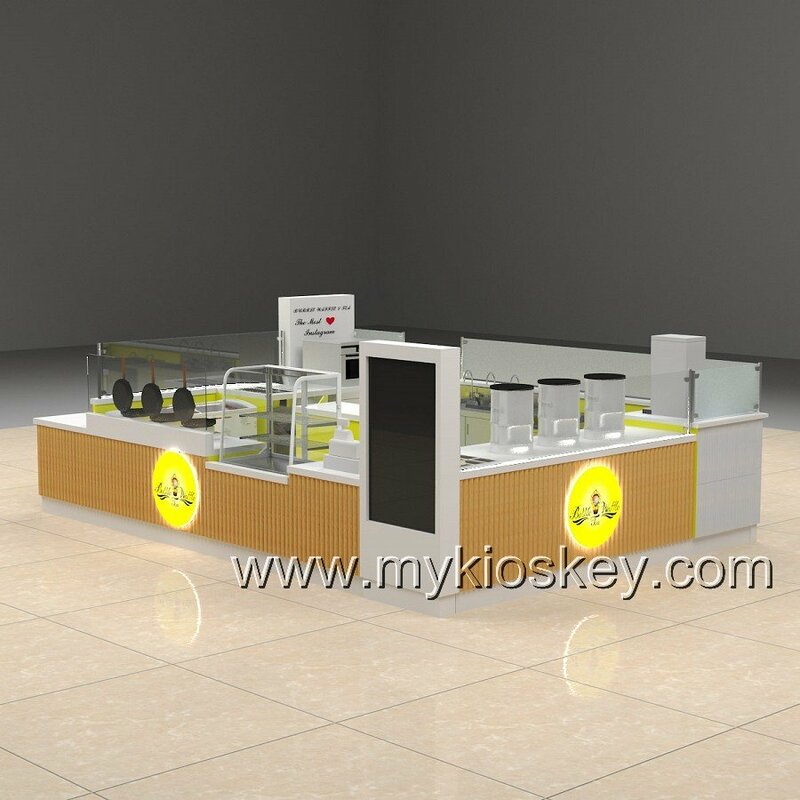 1) If it is in the shopping mall, tell me your space size, we can make most suitable kiosk for you. 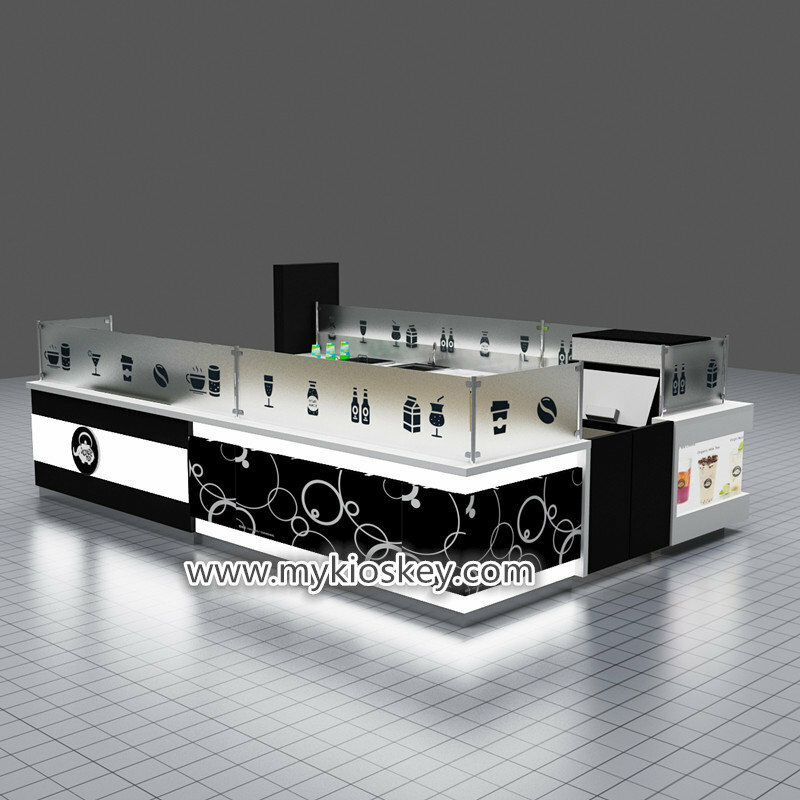 2) We can put your LOGO or Brand on the nail kiosk. 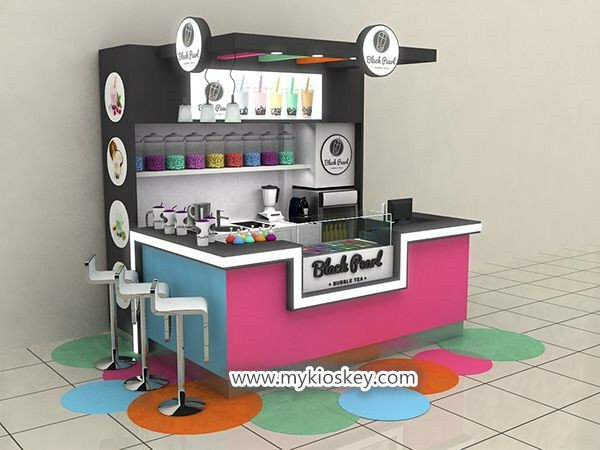 3) You can choose any color you like, we will make sample before you confirm. 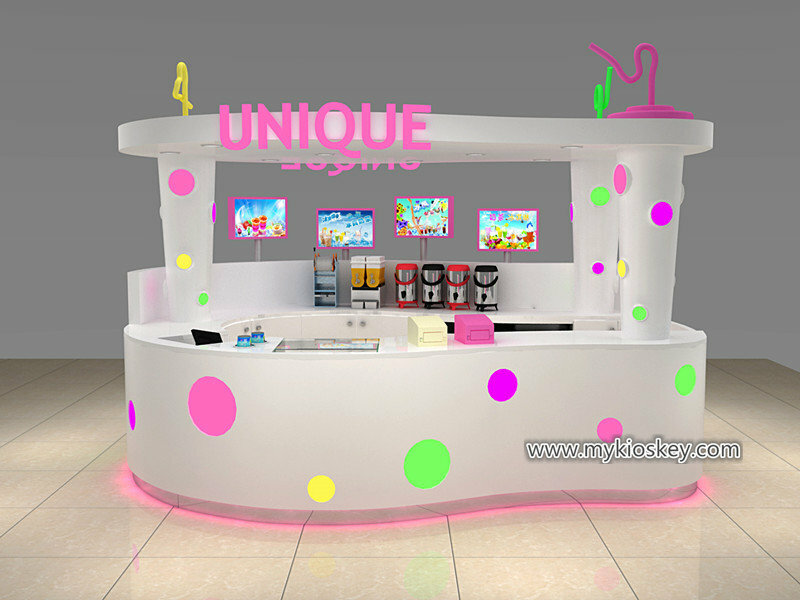 4) If you no ideal about the design, our professional design team will give you. 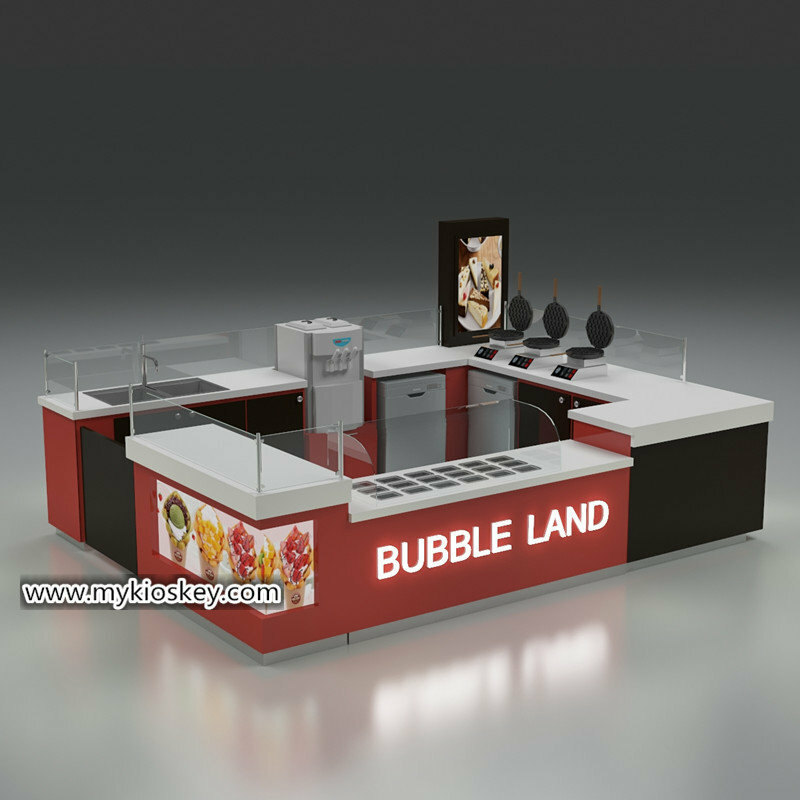 5) We can provide you three times to modify the design. 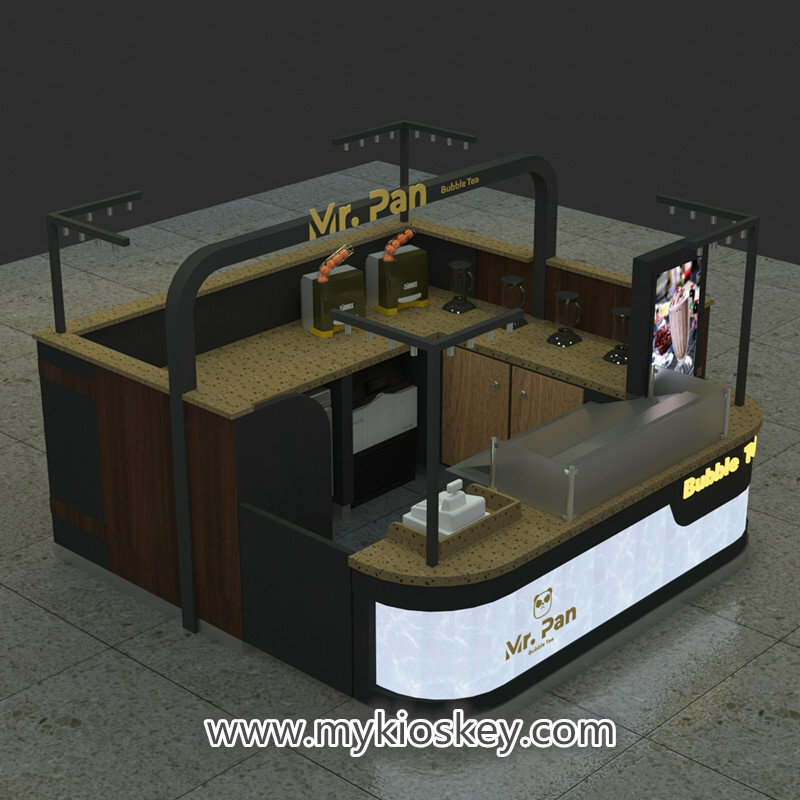 Material: plywood, lamination,tempered glass, LED lamp, and other specific materials. 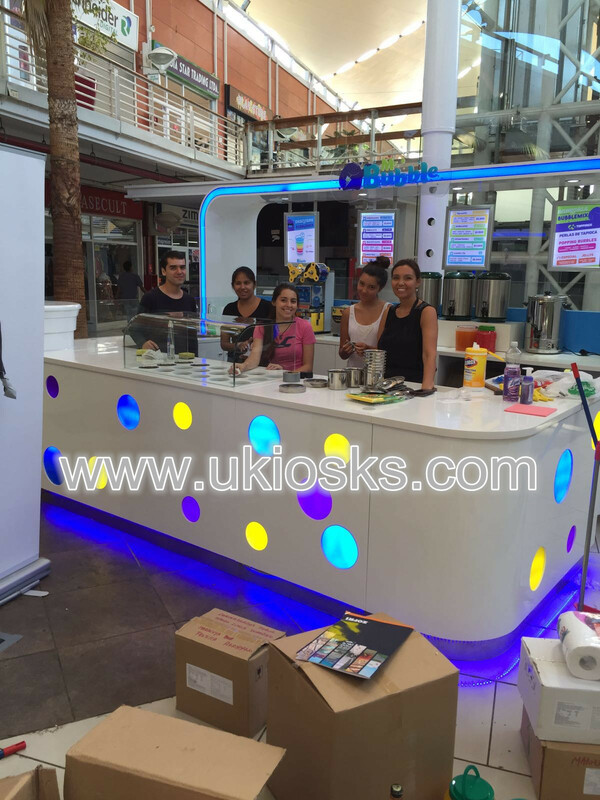 Color: yellow, any other color are ok.
Light: Usually the light box with your food kiosk logo, posters,etc. 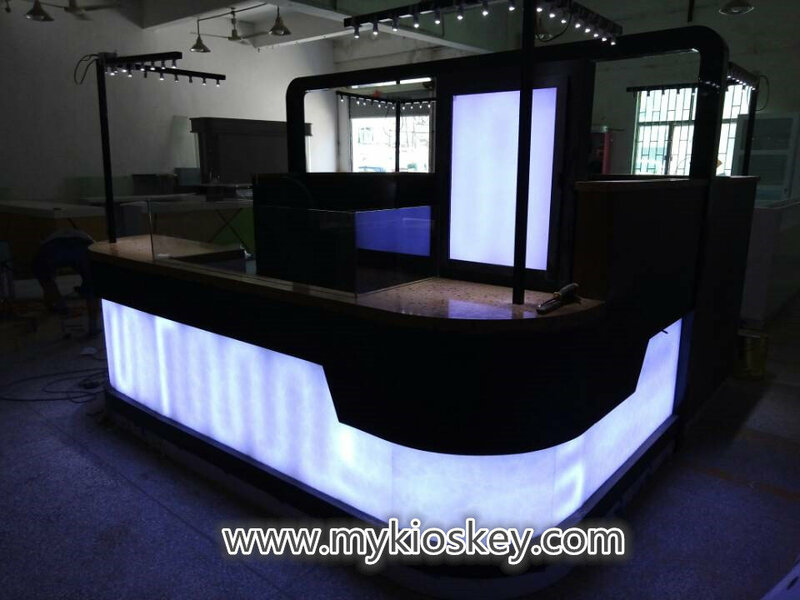 Main materials plywood, tempered glass, LED light, lamination, stainless steel, acrylic etc. Delivery 3-4 weeks Transportation By sea, air, etc. 4″-6″ height hard wood toe kick,B1 standard, treated with stainless steel edge. 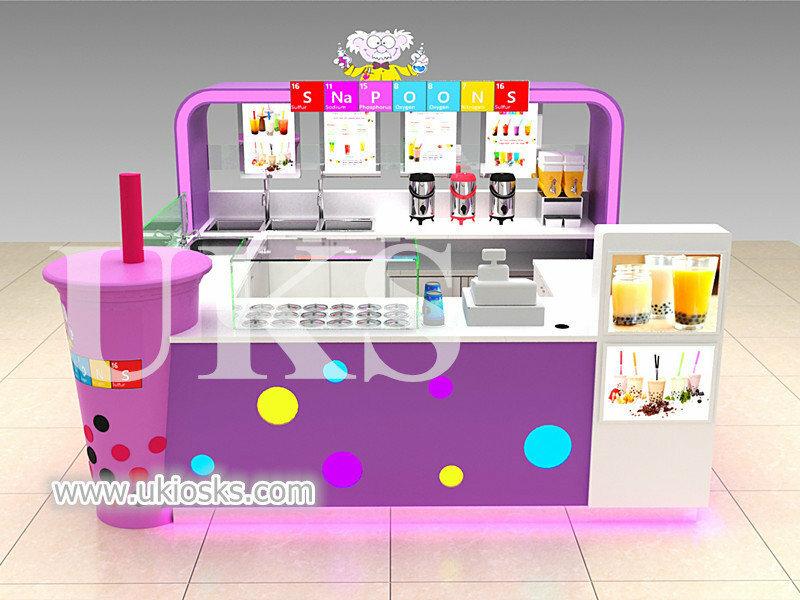 To be hard, durable, high quality and water resistand for protect the bubble tea kiosk. Lighting device, multi-function sockets, switches,leakage protector and external cable available. 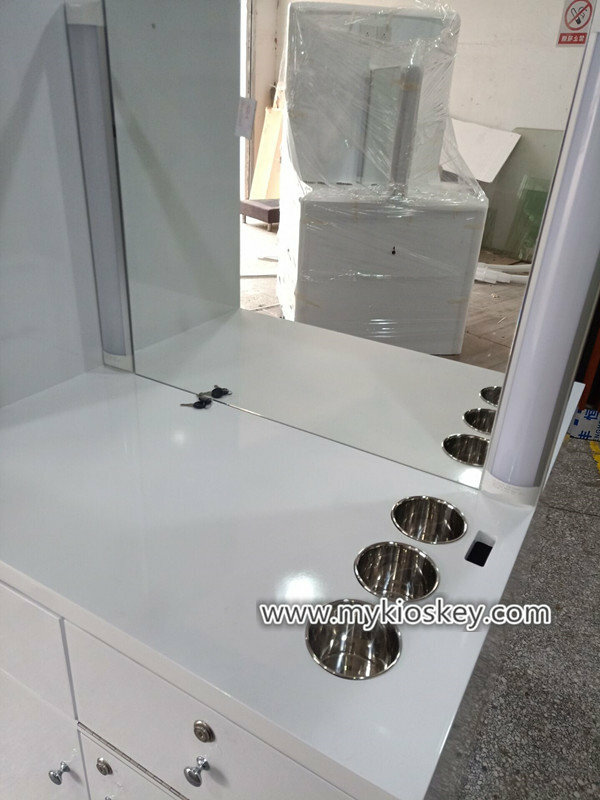 Our kiosks are very easy to assemble, just need place all parts together is ok, no need to assemble. 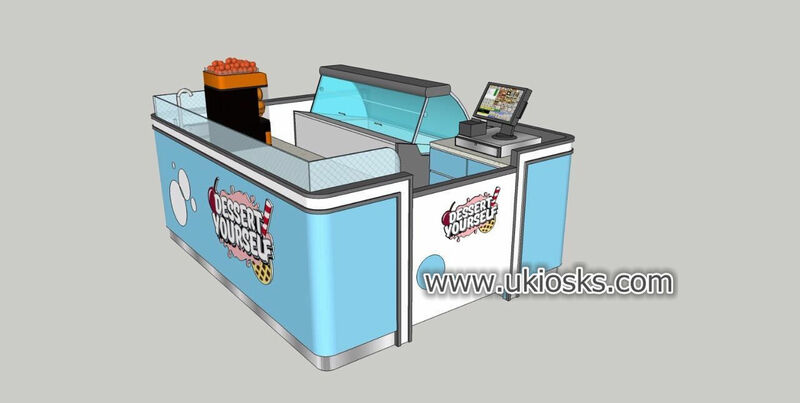 Our food kiosk takes aobut 5 minutes each for a novice to assemble. We ship them unassembled to protect them from shipping damage&help keep shippign costs affordable.